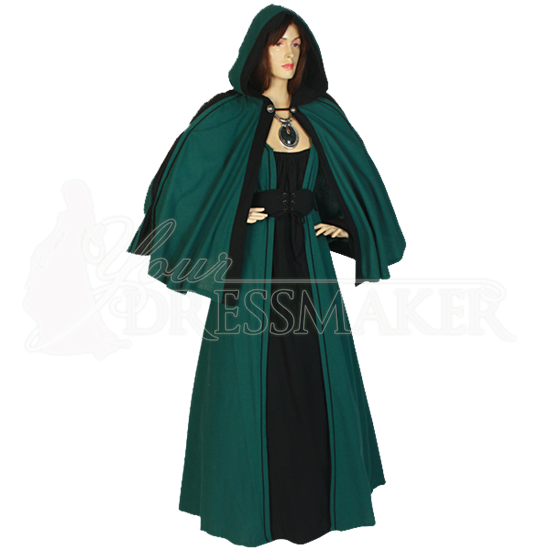 The ideal length for showcasing medieval dresses, Renaissance gowns, and other historic or fantasy-inspired wear, the Womens Cotton Shoulder Cloak adds a touch of style and mystique to any reenactment outfit with its two color design. Fastened at the neck with a button and cord, this handcrafted hooded cloak covers the torso and head of the wearer. 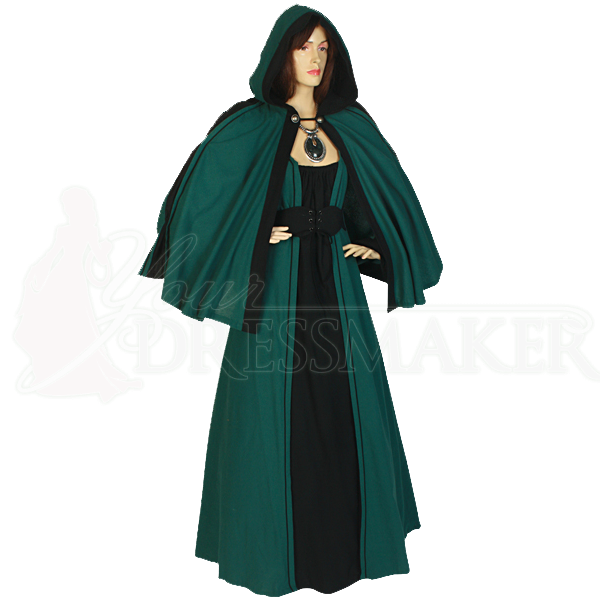 Made out of medium weight, 100% natural woven cotton, this womens cloak is both comfortable and versatile, making it great for wearing to Renaissance festivals, medieval or fantasy LARP events, historic reenactments, and more. Choose from a variety of stylish color combinations to find the perfect cloak for your unique reenactment look.